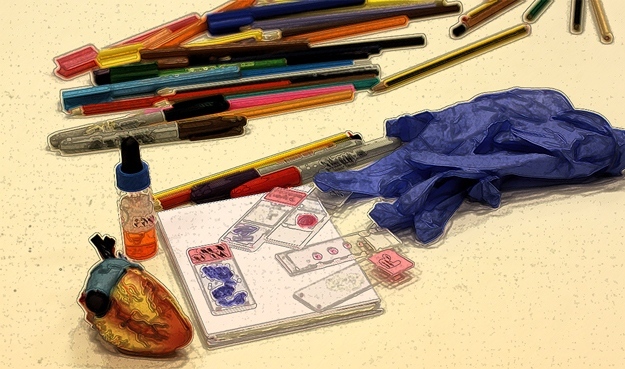 Come Join us in ASCUS Lab for Art & Science on a Postcard, a networking and hands-on workshop for artists and scientists. This workshop is brought to you by ASCUS, InterSci and in collaboration with Pint of Science and their Creative Reactions initiative. This is a collaborative & creative exchange of knowledge and ideas. We will begin with scientists and artists exchanging their research and creative practices. This will be followed by a hands-on image making session inspired by the science and initial conversations, concepts and exchange of ideas. 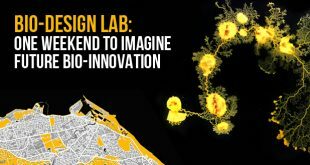 Together the artists and scientists will be teamed up and encouraged to explore art-science narratives through image making side by side collaborating and exchanging approaches throughout the process. This workshop is not about making illustrative scientific imagery, it is about a two way exchange of knowledge and experience between scientists and artists. For this workshop we encourage artists interested in exploring the challenge of image making in response to current scientific research, and scientists interested in embracing creative approaches to image making as a visual aid in explaining their research. Artists will be encouraged to act as a creative mentor to the scientist their paired with, sharing their practice and experience and scientists will be encouraged to communicate their research in ways that are accessible and to think outside the box in terms of how their science could be represented. This is an opportunity for both scientists and artists to get creative with science! If this experience (and exciting challenge) is for you then get in touch with us! This workshop will culminate in a pop up exhibition as part of Creative Reactions on Saturday the 12th of May for Pint of Science festival (14th-16th May), venue to be confirmed. 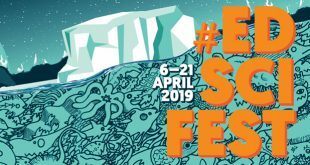 Creative Reactions is a sci-art pop-up event that will launch the Pint of Science Festival in Edinburgh, a three-day event taking place in pubs across the city. 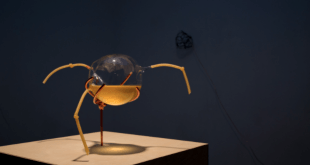 Creative Reactions celebrates the interface between art and science, and aims to shatter the myth of art and science being mutually exclusive by showcasing art that has a science message, has been inspired by a scientific issue, or has been created in collaboration with scientists. We want to cultivate conversation around this topic between scientists, artists, science communicators and anyone with an interest in art and/or science. Drop in to the Tent Gallery from 10am to 7pm on Saturday 12th May 2018 for a FREE pop-up sci-art exhibition which will include works by Michele Marcoux, Fusion, and the creative reactions produced by both artists and scientists during sci-art workshop hosted by ASCUS on 28th April in collaboration with InterSci. 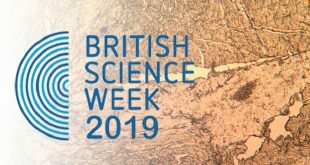 The evening portion of the event will begin with a FREE drinks reception followed by a panel discussion with some of the artists and scientists who have created and/or influenced the pieces on display. 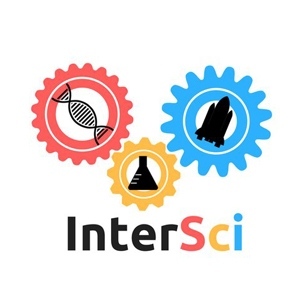 Please note we cannot guarantee that during this event you will be paired with the scientist of your choice, but all participants will have the opportunity to chat with each other during the networking part of the event. This is an opportunity to explore image making and experiment with approaches to art and science so we encourage you to come to this workshop with an open mind. Developmental Biology – Uncovering the components of the natural biological environment that nurtures formation of blood stem cells in embryonic mice. Cosmology – Using the space phenomenon of gravitational lensing, whereby light is bent across galaxies, to investigate the invisible and elusive “dark matter”. Behavioural Ecology – Tracking the exploratory movements of young northern gannets during the breeding season, using GPS mobile phone tags. Plant Synthetic Biology – Contributing to the work on increasing the efficiency of plants to transform carbon dioxide into oxygen through photosynthesis. Chemistry of Medicine – Working on drug administration with freeze-dried medicine whereby medicine is frozen and water is sucked away by a high-pressure vacuum. Regenerative Medicine – Studying the difficulties involved in controlling stem cells and how they behave in the body. Archaeological Science and Education – Studying how to make science (archaeology) accessible to all and embedded in learning practices. Developmental Biology – Studying how blood vessels and blood cells are formed during embryo development. 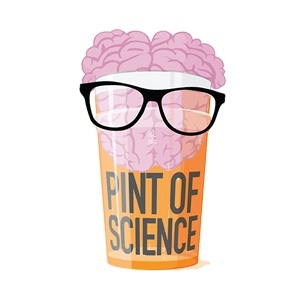 Pint of Science is a non-profit organisation that brings some of the most brilliant scientists to your local pub to discuss their latest research and findings with you. Creative Reactions is a collaboration between artists and Pint of Science scientists to produce artworks related to the science presented at the pubs.